A soothing cleansing gum oil which helps in strenghtening gums refreshes mouth and helps kills bacteria that can cause bad breath. H. italicum can be found along the Adriatic coast of Italy, the estuary of the river Po, and in Southern Italy. The major areas of H. italicum cultivation in the Western Mediterranean region are Corsica and Sardinia, and most biomass produced there is acquired by the cosmetic and perfumery industries and distilled. There are hundreds of different species of helichrysum to complement its myriad of medicinal uses. 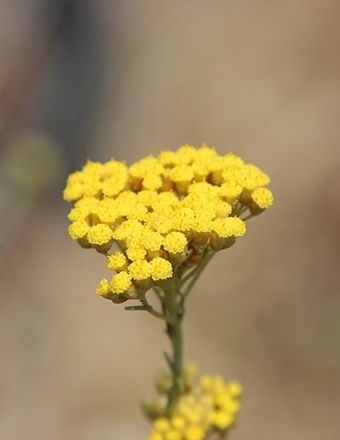 Helichrysum italicum is perhaps the species with the most longstanding and widely used herbs in traditional medicine.